1. Four year Honors/Masters degree from any Govt. approved university in Computer Science/Computer Science & Engineering/Information and Communication Technology/Electrical & Electronic Engineering/Physics/Applied Physics with at-least two first division/class. Third division/class in any examination is not allowed. 2. For O’ level and A’ level or equivalent students must need certificate. 2. Only Bangladeshi citizen can apply this post. 3. After filled up full application form, candidates get CV Identification Number, Tracking Number Password. They should keep it for further . 4. Selected candidates (written exam) have to submit all papers with evidence. After proved all, then they will allow for viva. 5. If any Wrong information and false information will disqualify applicants. 6. Candidates must attend for MCQ, written and viva exam. 7. Sonali Bank Limited (SBL) has power to decide anything and can take any decision. All the candidates must seat for 100 numbers MCQ exam then written exam in 200 numbers and finally viva voce. So MCQ passed candidates only able to seat for written exam. 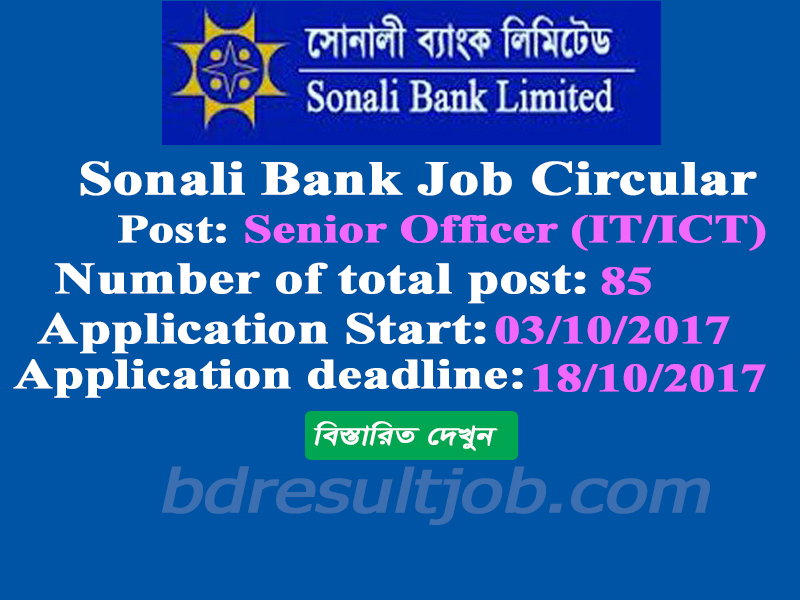 Sonali Bank Limited (SBL) will published Senior Officer (IT/ICT) admit card at https://erecruitment.bb.org.bd/onlineapp/print_admit.php. 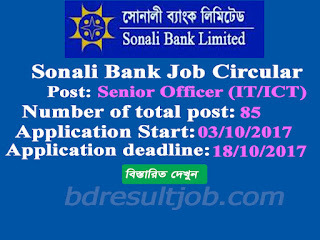 Sonali Bank Limited (SBL) will published Senior Officer (IT/ICT) Exam Seat Plan at https://erecruitment.bb.org.bd/onlineapp/print_admit.php. Tags: erecruitment.bb.org.bd, erecruitment bb org bd, www sonalibank com bd. sonali bank result. sonali bank Senior Officer (IT/ICT) result. sonali bank exam result. Www sonalibank com bd/sblrec. sonali bank Senior Officer (IT/ICT) mcq result. sonali bank admit card. www sonali bank com. sonali bank it result 2017. www sonali bank com bd. sonali bank mcq result 2016. www sonali bank exam result. sonali bank result 2017. sonali bank result Senior Officer (IT/ICT). sonali bank mcq result. www sonali bank result. sonali bank admit card download 2017. www sonali bank exam result com. sonali bank result 2017.